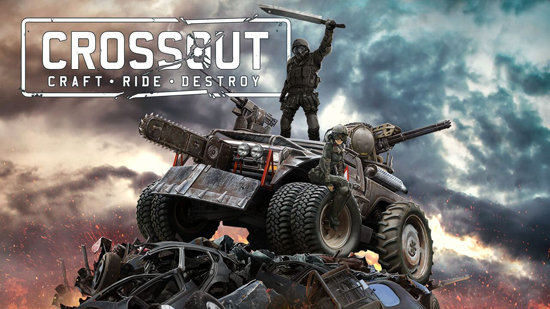 Action MMOG Crossout has kicked off with a landslide launch on PC, PS4 and Xbox One, attracting more than three million players in less than a month since going public. Players from all over the world have already spent millions of combined hours crafting, fighting, racing and trading in-game - and the post-apocalyptic vehicle mayhem has only just begun! The post-apocalyptic world of Crossout is a harsh and unforgiving one. In their battle for survival, players have constructed countless vehicles, and each is one-of-a-kind. Be it a shotgun tricycle, a rocket-powered racing hot rod, a huge twin-turreted tank or even a spaceship, almost one million deadly, funny and outright crazy player constructions have already been publicly shared on the game’s blueprint exhibition section, and many times those were trialled in battle. In the ruthless combat players have fought since May 30th, almost 150,000,000 vehicles were destroyed in PvP, and 1,500,000 Leviathans, the fierce player-constructed boss enemies in PvE, were slain. Much of the loot obtained in battle has been used to craft over 8 million new items produced since launch, and many of those were bartered on the in-game marketplace that sees well over a million transactions every day - mostly for guns and cannons, of course. A bang for the buck indeed!